Dr. Steve Pearce and Jay Milligan of ASL Environmental Sciences recently visited Chad Lembke at the College of Marine Science laboratory at the University of South Florida (USF). 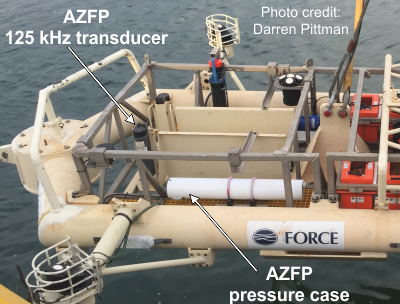 This lab was the first group to integrate an ASL Acoustic Zooplankton Fish Profiler (AZFP) into a Slocum glider for oceanographic biological surveys. Christopher DeCollibus, Product Line Manager of the Slocum Gliders of Teledyne Marine was also in attendance. ASL is happy to announce the appointment of Mr. Martin Taillefer to the position of Senior Project Manager and Business Development. Martin has been working in the fields of oceanography, hydrography, ocean acoustics and underwater warfare for over 25 years. A naval officer for over 20 years, the latter 10 years were spent as an Underwater Warfare Director and Oceanographer for the Pacific Fleet. Martin oversaw the implementation and operations of decisional systems, acoustic modeling and operational systems for the fleet. ASL Environmental Sciences Inc. is excited to announce the recent awarding of a Natural Sciences and Engineering Research Council (NSERC) Engage Grant for the development of new automated or semi-automated analysis tools for Acoustic Zooplankton Fish Profiler (AZFP) data. This collaboration will be led by Dr. Alexandra Branzan Albu's research group from the Electrical and Computer Engineering Department of the University of Victoria along with ASL acoustic and remote sensing specialists. 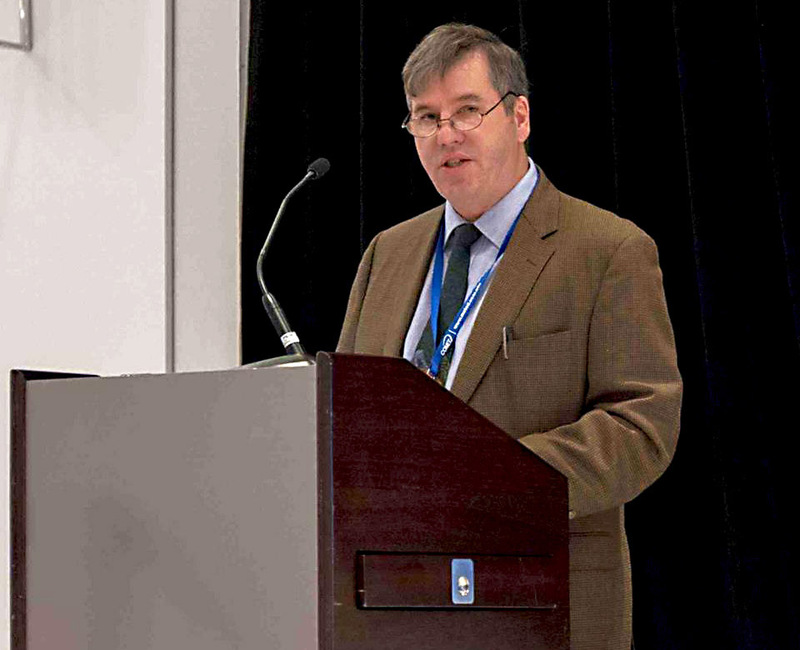 AZFP data will be provided by Dr. Stéphane Gauthier of the Department of Fisheries and Oceans Canada, who will also bring expertise in the areas of fisheries acoustics, data analyses and interpretation. 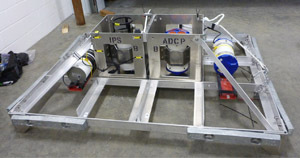 Laboratory experiments were carried out in July 2018 with ASL Environmental Sciences' multi-frequency Acoustic Zooplankton Fish Profiler (AZFP) at the Bureau of Safety and Environmental Enforcement's OHMSETT Oil Spill Response Research and Renewable Energy Facility outdoor saltwater wave tank (Figure 1). 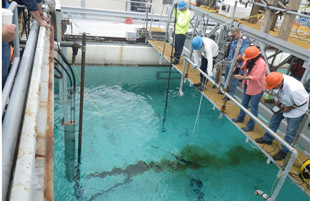 These experiments were conducted with the collaboration of the US Naval Research Laboratory (NRL) and the US Environmental Protection Agency (EPA), with funding provided by the US Bureau of Safety and Environmental Enforcement (BSEE). BSEE has managed the Ohmsett in Leonardo, New Jersey. Marine sensitivities to hydrocarbon pollutants pose serious impediments to offshore hydrocarbon production-related activities. 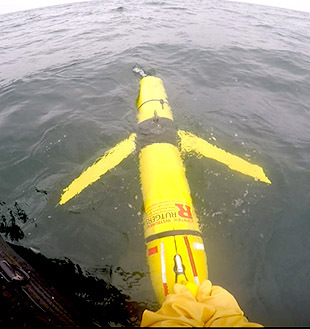 Autonomous underwater vehicles or ship-towed bodies are a means of combining the long-range detection capabilities of acoustics, with the identification ability of point sensors. The AZFP is a multiple-frequency, calibrated scientific echosounder, with low power consumption, making it well-suited to operation on autonomous vehicles. A recent experiment in a large test tank using an AZFP with 4 high-frequency channels (455, 769, 1250 and 2000 kHz) has shown that subsurface oil is detectable with the AZFP. A new tool to measure both sediment concentration and sediment size is being built by ASL Environmental Sciences. 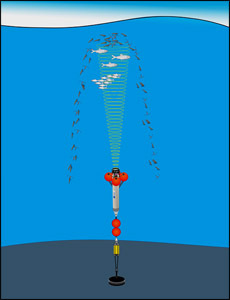 The Multi-frequency Ultrasonic Device (MUD™) is based on ASL's successful Acoustic Zooplankton Fish Profiler (AZFP). The MUD and AZFP echosounders can be configured with up to four frequencies ranging from 38 kHz to 2 MHz. 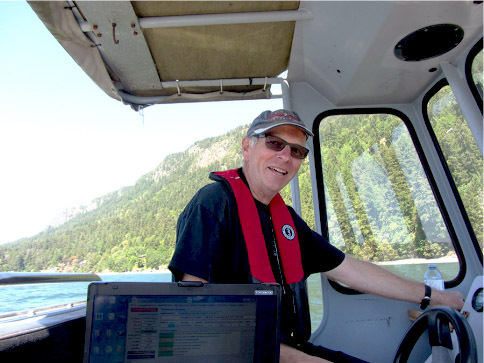 In May 2018, Dr. Gwyn Lintern of NRCan, in collaboration with university researchers, deployed a three frequency (200 kHz, 769 kHz, 1250 kHz) MUD in Bute Inlet, BC. All three frequencies recorded turbidity flows without saturating. 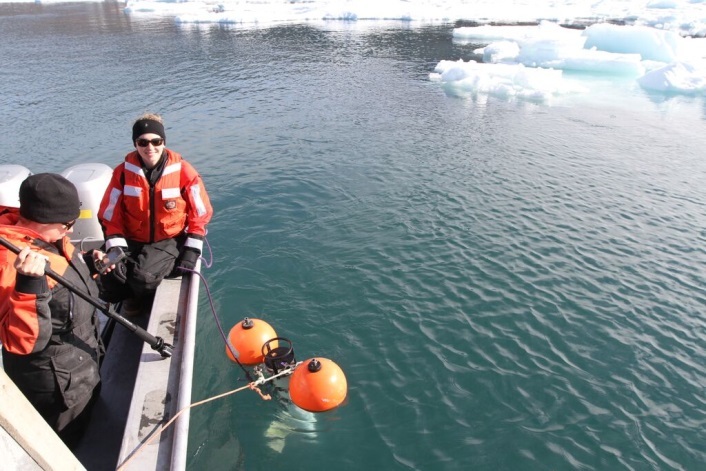 Dr. David Holland of New York University, in collaboration with Dr. Natalya Gomez at McGill University, is leading an investigation of sea level variations in the Disko Bay region of western Greenland. 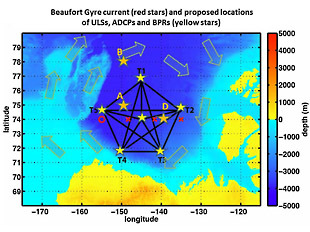 A shore-based system compares the direct arrival of GPS signals to the signals reﬂected oﬀ the sea surface to obtain sea level. The presence of sea ice and icebergs complicate the measurements. 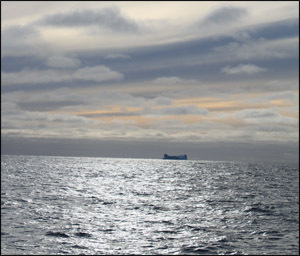 A shore-mounted camera provides information about the surroundings and the presence of sea ice and icebergs when there is daylight. Underwater sonar devices can supplement the camera-based observations and eliminate the dependence on daylight to characterize the ice. The North Slope Borough Department of Wildlife Management (NSB-DWM) deployed a multifrequency (38, 125, 200 and 455 kHz) ASL Environmental Sciences’ Acoustic Zooplankton Fish Profiler (AZFP) in the nearshore Beaufort Sea at an Arctic lagoon pass near Utqiagvik/Barrow, Alaska (USA), in July 2018. 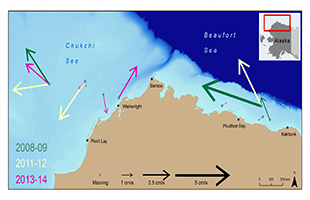 The data retrieved from the AZFP will be used to determine the presence of fish and plankton under ice and their movements between the marine and lagoon environments especially during freeze-up and break-up seasons. ASL is happy to announce the appointment of Dr. Steve Pearce to the position of acoustics scientist. 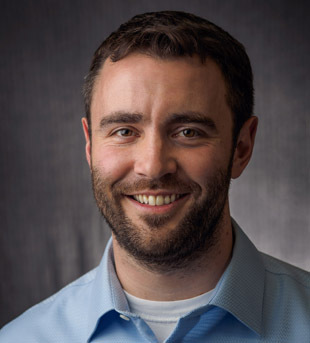 Dr. Pearce brings over a decade of experience in underwater acoustics R&D to the ASL team. 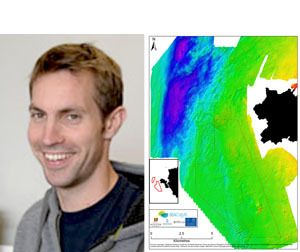 He earned his Ph.D. at Simon Fraser University in 2014, where his studies focused on sidescan sonar signal processing to suppress multipath interference in the context of a multi-angle swath bathymetry array. The key contributions of his thesis were the introduction and analysis of simple and effective beamforming methods applied in a novel context. These methods are designed to attenuate multipath interference while preserving the seafloor return, and the effectiveness of these methods was established through theory, simulation, and numerous field studies. 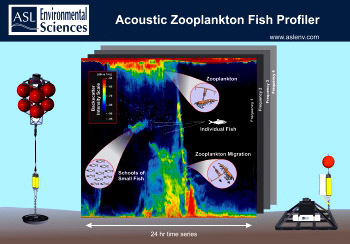 ASL Environmental Sciences is pleased to announce the winner of the third annual Acoustic Zooplankton Fish Profiler (AZFP) award. Dr. Lilian Lieber, Research Fellow at Queen's University Belfast, has been selected to receive the use of one of ASL's four frequency (38/125/200/455 kHz) AZFPs for her proposal entitled Drivers of Predator–Prey Coherence in Energetic Environments. With this award comes the free of charge use of a four-frequency AZFP including batteries and a mooring cage for a deployment period of up to three months. Also included with this award is support from ASL's team of experts. The Central and Arctic Division of Fisheries and Oceans Canada has plans to deploy an array of three multi-frequency (38, 125, 200 and 455 kHz) Acoustic Zooplankton Fish Profilers (AZFPs—manufactured by ASL Environmental Sciences) in the Amundsen Gulf in 2018. Data retrieved from the array will be used in conjunction with winter and summer net sampling programs to better understand the early life history of Arctic cod (Boreogadus saida) and the zooplankton copepod Calanus spp., both of which are keystone species in the Arctic marine food web. Climate changes have altered the distribution, intensity and timing of the krill fishery in Antarctic waters when compared to historical data. The fishery season, for example, has expanded as both sea-ice extent and distribution have declined. This expansion leads to a potential negative impact on ecosystem health such as known areas of krill-dependent predators. 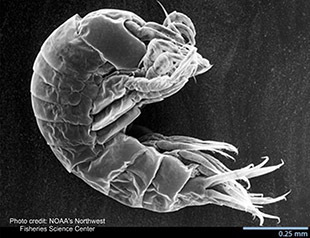 For the third year in a row, ASL is happy to announce its early career scientist award program for ASL’s Acoustic Zooplankton Fish Profiler (AZFP). The winning applicant will receive, free of charge, a battery powered AZFP complete with a mooring cage for a 3-month maximum deployment period with support from ASL’s team of experts. 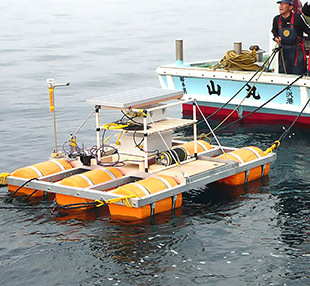 The National Research Institute of Fisheries Engineering (NRIFE, Kamisu) of the Japan Fisheries Research and Education Agency (FRA, Yokohama) has deployed an ASL Environmental Sciences Inc. multifrequency Acoustic Zooplankton Fish Profiler (AZFP 125, 200, 455 and 769 kHz) in Yamada Bay, 450 km north of Tokyo since 2013. The collected data are being used to understand seasonal variations of zooplankton in the water column. 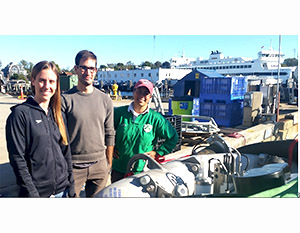 On January 9th, 2018, a post-doctoral researcher and undergraduate student of Dr. Grace Saba (Assistant Professor, Rutgers University, Center for Ocean Observing Leadership) deployed a Teledyne Webb Slocum Glider with an integrated ASL Environmental Sciences Inc. Acoustic Zooplankton Fish Profiler (AZFP) 38, 125 and 200 kHz instrument in the Terra Nova Bay (Ross Sea, Antarctica). The deployment lasted 3 weeks and the glider was recovered on January 31, 2018. 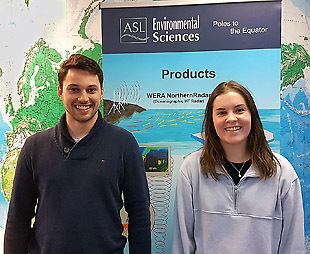 We are pleased to welcome two new co-op students who are working as Oceanographic Data Analysts while at ASL. 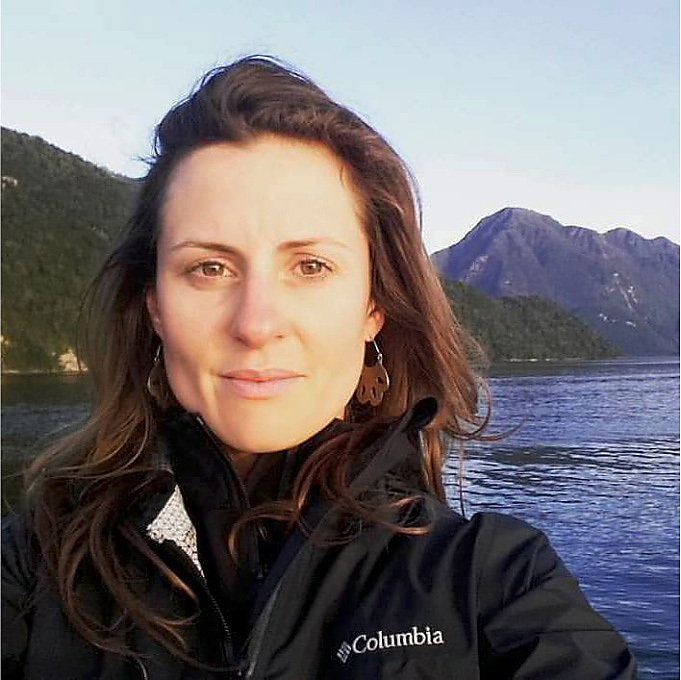 Karlee Zammit is from Physics and Astronomy at University of Victoria and is supported by the ECO Canada CO-OP program. Benjamin Labrecque is from the University Of Waterloo-Engineering Dept. and is supported by an NSERC / CRSNG Natural Sciences and Engineering Research Council of Canada Experience Award. Thanks to these important funding programs we continue to hire and train young scientists and engineers. Welcome Karlee and Ben. Their co-op term will be January to the end of April 2018. 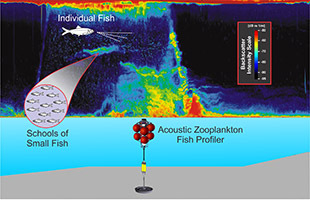 The US Naval Research Laboratory has purchased an Acoustic Zooplankton Fish Profiler autonomous echosounder to conduct observations of small zooplankton for ecosystem research. The internally-powered scientific echosounder will store acoustic backscatter data and will be mounted to an apparatus that will move the instrument up and down the water column in order to observe the dynamic behavior of zooplankton. The technology employed by this echosounder uses multiple high frequencies to ensonify the small particle sizes of the zooplankton. ASL Environmental Sciences has been working on a project under the Earth Observation Application Development Program (EOADP), administered by the Canadian Space Agency (CSA), to explore the potential complementary uses of unmanned aerial systems (UAS) and spaceborne imagery to enhance Earth Observation (EO) applications. 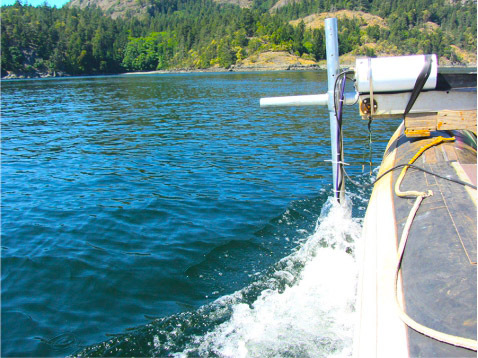 Installation of Ocean Networks Canada's (ONC) WERA® high frequency oceanographic radar near Tofino on the west coast of Vancouver Island (Fig. 1) was completed on March 27, 2015 by ASL Environmental Sciences Inc. of Victoria, British Columbia; Northern Radar Inc. of St. John's, Newfoundland; and Helzel Messtechnik GmbH of Germany. 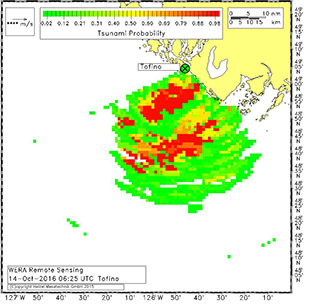 On October 14, 2016 at 05:45 UTC the ocean radar system sent out a tsunami alert after it detected and identified the distinctive signatures of a changing surface velocity potentially associated with a tsunami. 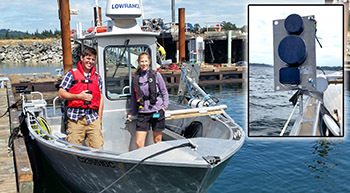 ASL is proud to announce two Ph.D. candidates who are currently conducting studies that couple the unique capabilities of ASL's Acoustic Zooplankton Fish Profiler (AZFP) with predator telemetry and prey sampling to provide novel perspectives on predator/prey interactions in selected study regions in southern BC. Rhonda Reidy and Will Duguid are part of the Fisheries Ecology and Marine Conservation group, working under thesis supervisor Francis Juanes of the University of Victoria. Collaborators on their projects include Stephane Gauthier and Svein Vagle from Fisheries and Oceans Canada. The recent submissions for the 2017 AZFP early career scientist award exceeded our expectations. 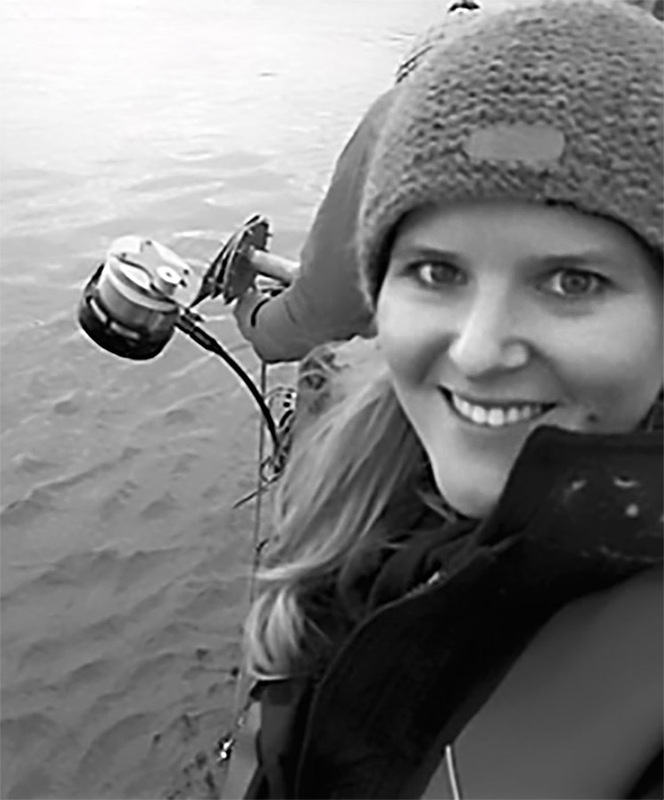 The award selection committee of ASL is happy to announce that Dr. Susannah Buchan will receive free of charge a multi-frequency AZFP for a three-month deployment to conduct research on the spatial distribution of prey and baleen whale species off Isla Chañaral, northern Chile. This area, within the Humboldt Current System (HCS), is considered one of the most productive marine environments on the planet and sustains the highest fishery catches in the world. ASL Environmental Sciences Inc. has recently been assigned by Deep Water Buoyancy as the sales representative for British Columbia (BC), Alberta and Alaska. 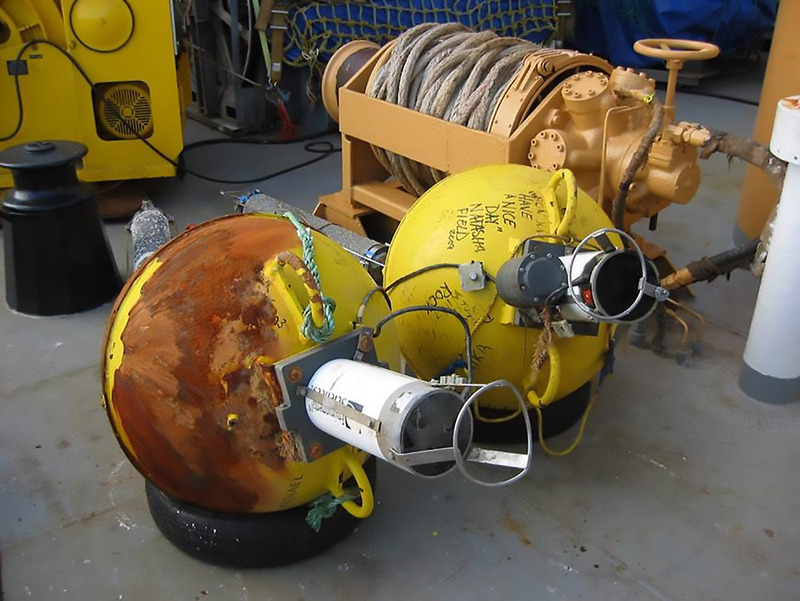 This builds on our previous experience using Deep Water Buoyancy’s flotation in the field and adds to our comprehensive range of oceanographic instruments, mooring design, deployment considerations and data analysis. We believe that Deep Water Buoyancy offers some of the best floatation solutions in the world and we’re here to help you integrate practical methods to meet your deployment goals. We would be happy to discuss your requirements. (CSESP - www.chukchiscience.com) through funding from BOEM (Bureau of Ocean Energy Management). The completion of this analysis marks a milestone in a series of collaborations to better understand the Chukchi Sea. The recent increases in the length of the Arctic open water season have allowed for increased activity in the region. 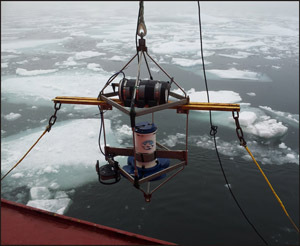 To support this increase in Arctic marine activity, and to provide data for assimilation into ice/ocean forecast models, the Bedford Institute of Oceanography (BIO) has been running a real-time ocean observatory at the east end of the Northwest Passage since 2009. 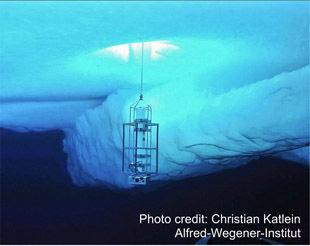 As this ocean observatory was deployed in an area where BIO had maintained an ice/ocean monitoring array from 1998-2011, which included moored ASL Ice Profiling Sonars, a long baseline of measurements could be used to establish a relationship between the salinity of the upper water column in the late summer and the time of freeze-up (Hamilton, Collins and Prinsenberg, 2013). In November 2015, BIO installed an ocean observatory a few kilometres to the west of the Canso causeway which connects Cape Breton to the rest of Nova Scotia. This ocean observatory is being used as a test bed for further developments in Ocean Observatory technology. 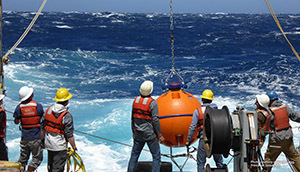 The goal of this open proposal program is to support the oceanographic research community by lending, free of charge, a battery-powered AZFP 125/200/455/769kHz or 38/125/200/455kHz mooring cage and battery for a 3-month maximum deployment period along with the support from ASL’s team of experts. 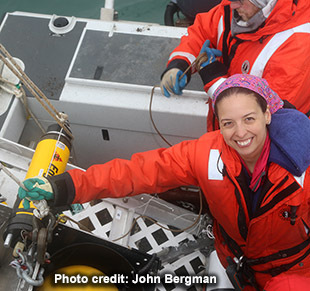 This instrument loan program is open to early-career scientists and engineers, graduate students, post-doctoral fellows and others involved in oceanographic or freshwater work. 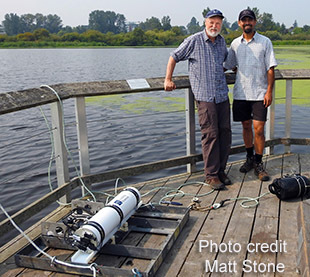 Dr. Andreas Muenchow and his PhD student Pat Ryan from the College of Earth, Ocean and Environment at the University of Delaware were involved in an international collaboration to measure the fresh water flux through Nares Strait from 2003-2012. Nares Strait and Fram Strait are two of the main pathways for fresh water to exit the Arctic. The fresh water flux into the North Atlantic controls the amount of vertical stratification, and in turn the amount of deep water formation. This process has implications for ocean circulation, the transfer of heat from the tropics to the poles via ocean circulation, and in turn global climate. ASL Environmental Sciences Inc. has been assigned by Teledyne Benthos to be the sales representative for British Columbia, Alberta and Alaska. This expanded role complements our already established relationships with Teledyne RD Instruments and Teledyne OceanScience. 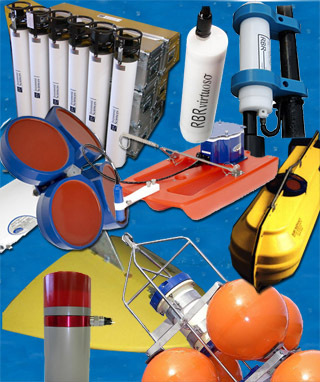 With the addition of Teledyne Benthos instruments, we now offer a broadened range of acoustic releases and modems, flotation, and locators for your metocean projects. 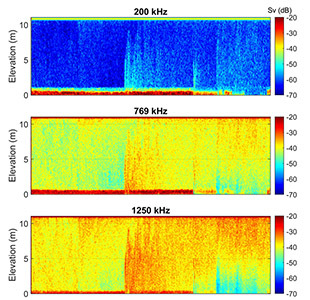 NOAA's Beaufort Laboratory (National Centers for Coastal Ocean Science and Southeast Fisheries Science Center) collaborated with the Center for Ocean Technology and College of Marine Science of the University of South Florida to instrument an echosounder into an ocean gilder to extend surveys of pelagic and demersal fishes associated with rocky reefs in the Gulf of Mexico and Southeast US Atlantic (figure 1). 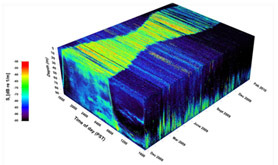 ASL Environmental Sciences (ASL) supplied a purpose-built 200 kHz single-frequency scientific echosounder, a modification of ASL's proven Acoustic Zooplankton and Fish Profiler (AZFP), to Teledyne Webb Research (TWR) (figure 2). The acoustic transducer fits a standard “ECOPuck” housing used on the TWR's Slocum glider for other applications. Earlier this year, TWR completed the software integration of the electronics into the Slocum glider. The glider controls the operation of the echosounder and its configuration can be changed on-the-fly. Up to 3 frequency channels can be added to the AZFP electronics. 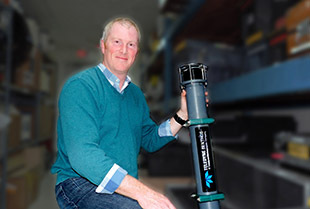 ASL Environmental Sciences Inc. has recently been assigned by Teledyne RD Instruments and Teledyne OceanScience as the sales representative for British Columbia (BC), Alberta and Alaska. ASL already has a large equipment pool of Teledyne Marine products, which we use for our projects and lease out to customers. 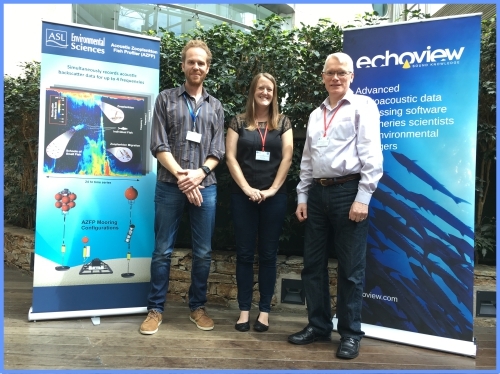 This expanded role builds on our longstanding relationship with Teledyne and brings our specialist aquatic knowledge to the sales environment. 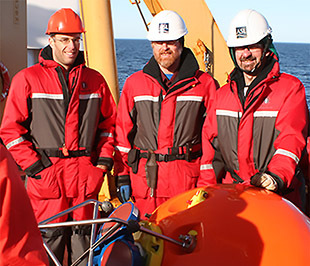 We work in both the commercial world and closely with research programmes such as Ocean Network Canada, bringing a rounded view to oceanographic studies. ASL Environmental Sciences has been leasing MetOcean instruments for 30 years (1987-2016). Back in the 80's we were leasing equipment such as the Neil Brown ACM2 acoustic current meter and the Aanderaa RCM4 rotor and vane current meter. This was before Doppler profilers were introduced by RDI. The RCM4's and our first CTD, an AML STD12+, recorded to tape. Yes, hard for you young ones to believe. 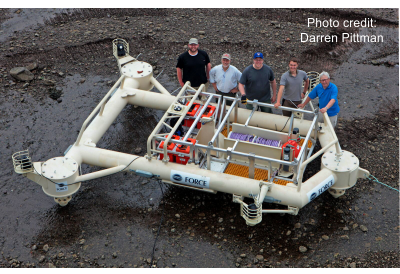 The Fundy Ocean Research Center for Energy (FORCE) purchased one of ASL's single frequency 125 kHz Acoustic Zooplankton Fish Profilers (AZFP) autonomous scientific echosounder for deployment on their instrumented mooring platform in Minas Passage in the Bay of Fundy, Nova Scotia. The ASL Acoustic Zooplankton and Fish Profiler (AZFP) was originally developed in the late 1990's as an autonomous submersible scientific echosounder for observations of zooplankton and fish. Today, with minor accessories available from ASL such as the short pressure case and the modular mount, it is possible to use the AZFP from a small (or larger) boat when it is not used as part of a subsurface mooring. 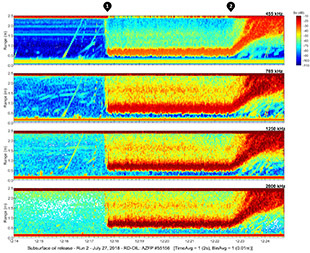 Dr. Svein Vagle (figure 1) of Ocean Sciences Division, Institute of Ocean Sciences, Sidney, BC, V8L 4B2, Canada deployed a four-channel AZFP with 38, 70, 125 and 200 kHz channels over-the-side of a small vessel in Cowichan Bay, Saanich Inlet and Satellite Channel just off Saanich Peninsula on Vancouver Island, BC. The work was conducted to demonstrate the ability to conduct this kind of work for salmon research. The AZFP was operated autonomously and a small battery provided the necessary power. ASL instruments will soon be put to the test as part of a study aimed at collecting data on sea ice thickness in the Arctic Ocean. 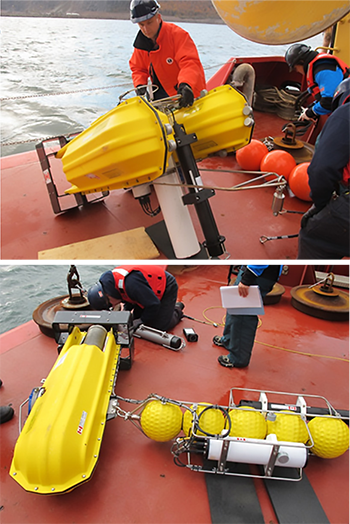 This summer, 6 of ASL's Model IPS-5 Upward Looking Sonar (ULS) instruments will be deployed for use in the Canada Basin Experiment (CBEX) to observe (or measure) sea ice thickness variability, which is funded by the US Office of Naval Research. The addition of ASL's ULSs will contribute to the Canada Basin Acoustic Propagation Experiment (CANAPE), taking place between 2016-2017 which is conducted by Scripps Institution of Oceanography and Woods Hole Oceanographic Institution. 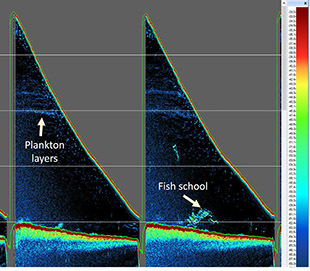 Click here to learn more about this study. .
Echoview and ASL Environmental Sciences Inc. (ASL) are pleased to announce that support for ASL's Acoustic Zooplankton Fish Profiler (AZFP) has been added to Echoview 7.1. ASL's AZFPLink software already has the ability to export AZFP data to an Echoview-compatible text file format for some time. With the new release of 7.1, Echoview is now able to read raw binary AZFP data files directly, bringing considerable performance and usability benefits. Dr. Timothy Whitton from the Centre for Applied Marine Sciences at Bangor University presented a compelling case in a field of other deserving applicants. He succeeded to draw our attention for his proposed study on the biological processes in areas of marine renewable energy development, winning ASL’s AZFP Award Program for early-career scientists! Dr. Whitton will get the use of a 125, 200, 455 and 769 kHz instrument for 4 months free of charge starting in September 2016. The focus of his research will revolve around understanding the physical and ecological characteristics and processes in the strong current, coastal areas off North West coast of Anglesey in Wales, and the effects that tidal and wave renewable energy development has on these processes. ASL Environmental Sciences Inc. has successfully collaborated with the Institute of Oceanography and Global Change for the adaption of ASL’s Acoustic Zooplankton and Fish Profiler (AZFP) for use as a tool to study the deep water (1000m+) zooplankton and micronekton in the subtropical waters of the Atlantic Ocean. 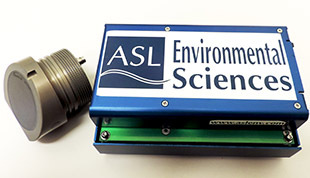 ASL Environmental Sciences Inc. is expected to supply the last of the Un-Cabled Bio-acoustic Sonar Instruments for the National Science Foundation-funded Ocean Observatories Initiative (OOI) Coastal and Global Scale Nodes by May 1st, 2016. ASL will have supplied 16 Acoustic Zooplankton and Fish Profiler (AZFP) instruments for the Coastal Arrays and 20 individual instruments for the Global Arrays. Sarah Fortune, PhD candidate at the University of British Columbia and guest student at Woods Hole Oceanographic Institution in collaboration with Dr. Steve Ferguson from Fisheries and Oceans Canada and University of Manitoba as well as LGL Limited and VDOS Global LLC, conducted several days of zooplankton backscatter observations in Pangnirtung Fiord with co-located Optical Plankton Counter data. 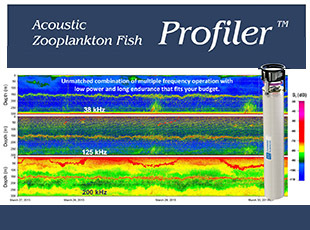 With its selection for inclusion in the US Ocean Observatories Initiative (OOI) in 2014, the Acoustic Zooplankton Fish Profiler™ (AZFP) is rapidly becoming the global standard for autonomous scientific multi-frequency echosounders. David Fissel of ASL Environmental Sciences was honoured with the title " Tectorian of the Week" by the VIATeC newsletter Tectoria. This newsletter sends out weekly updates about what's going on in Canada's hottest tech region. "Our Tectorian of the Week is David Fissel, who serves as Chair & Senior Scientist of ASL Environmental Sciences and has been a longtime tech community supporter, booster and cheerleader. " ASL Environmental Sciences has secured a contract for a 3-year metocean-ice study program in Cook Inlet, Alaska for the proposed Alaska LNG Project terminal site. This turnkey metocean program includes program management, a PSO (protected species observer), vessel, HSE lead, data processing and analysis, and engineering inputs. During the summer and fall of 2014, ASL deployed 3 Ice Profiler™/ADCP moorings close to Nikiski, Alaska on the Kenai Peninsula. Each mooring consisted of an Ice Profiler, ADCP, CT, and OBS Turbidity and was mounted in ASL’s own designed bottom frame or a taut-line mooring. ASL Environmental Sciences Inc. has successfully completed the LakeView Project, which was funded by the Canadian Space Agency (CSA) Earth Observation Application Development Program (EOADP) between 2011 and 2014. 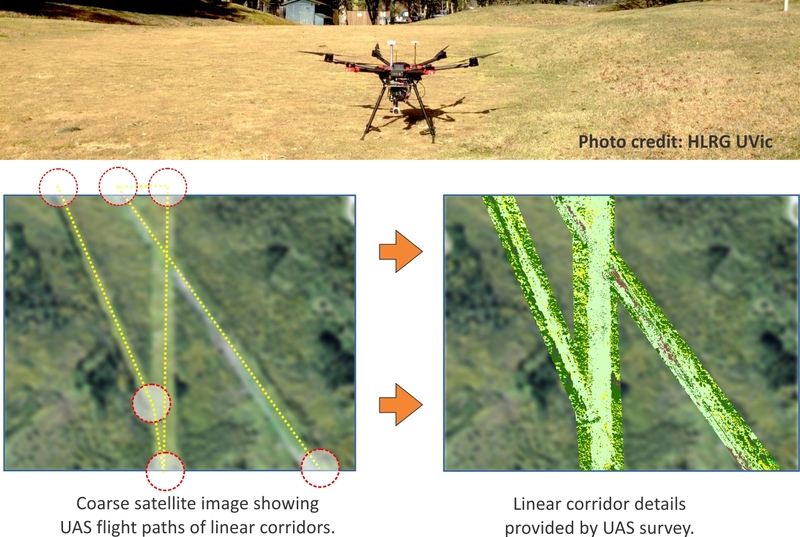 Lakeview's objective was to apply advanced remote sensing technologies to improve our understanding of factors that control freshwater survival of Sockeye salmon. The project team led by ASL also included scientists from Fisheries and Oceans Canada, University of Victoria, and C-CORE. 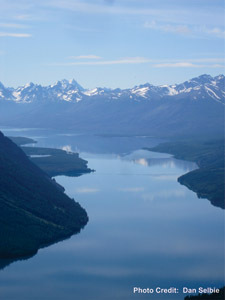 Historical archived environmental and satellite data were used in conjunction with in situ data to understand the present and historical water quality of Chilko Lake. Chilko Lake sockeye constitute one of the largest salmon stocks in the Pacific Northwest, for which Fisheries and Oceans Canada (DFO) has maintained a 55-year record, including partitioned freshwater and marine survival. 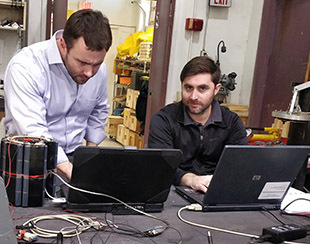 The Consortium for Ocean Leadership (OL) and the Woods Hole Oceanographic Institution (WHOI) announced ASL Environmental Sciences Inc. will provide Un-Cabled Bio-acoustic Sonar Instruments for the Ocean Observatories Initiative (OOI) Coastal and Global Scale Nodes (CGSN) - http://oceanobservatories.org/. WHOI, an implementing organization on the OOI Program, awarded an Indefinite Quantity Contract with a maximum total value of up to $1,681,375 over 2.5 years to ASL Environmental Sciences Inc. (ASL). Under the terms of the contract, ASL will supply up to 16 instruments for the Coastal Scale Nodes and up to 10 instruments for the Global Scale Nodes. ASL will supply its off-the-shelf Acoustic Zooplankton Fish Profiler (AZFP) instruments to meet the CGSN specific requirements. Four-frequency internally-powered, internally-recording AZFP echosounders with 38, 125, 200 and 455 kHz channels will be supplied for use on the Coastal Scale Node and operate for 7 months or longer on their own power. On the Global Scale nodes, each will have a dual set of AZFPs, each with 38, 70, 125 and 200 kHz channels (one will point up and the other will point down) to operate for up to 13 months without recovery. The first units are scheduled to be delivered in latter half of 2014. The Mineral Licence and Safety Authority of the Government of Greenland (MLSA) has contracted ASL Environmental Sciences to build and maintain a web-based marine geoportal from which sea ice, iceberg, metocean, and seafloor data from the east and west coasts of Greenland can be accessed by authorized parties. It will be a collaborative tool that will allow multiple users to interact with the system. ASL started the design and assemblage of the database in January 2014. This first phase also includes data quality control and database system integration. The marine geoportal will be launched online in 2015. Geoportal maintenance and database updates will be carried out by ASL’s highly qualified team of ice and metocean specialists. ASL’s decades of experience carrying out ice and metocean projects along with our cutting-edge software engineering team, and our familiarity with the end user (engineers and operational planners of oil and gas companies) enable us to provide innovative solutions to global environmental challenges. 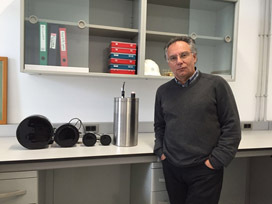 ASL Environmental Sciences Inc. has been awarded a US$0.5 million contract by the University of Georgia to build a reciprocal transmission acoustic scintillation instrument to measure the flow dynamics of a hydrothermal vent plume for a research project led by Dr. Daniela Di Iorio of the Department of Marine Sciences. 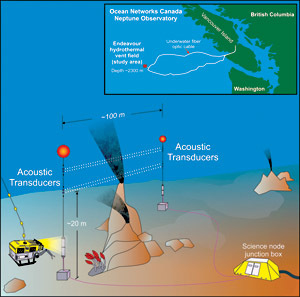 The instrument will be installed at the Ocean Networks Canada NEPTUNE cabled observatory at the Endeavour hydrothermal vent site, approximately 300 km off the west coast of Vancouver Island, in 2200m water depth. The deployment is scheduled for 2016, with logistical support from Ocean Networks Canada. The instrument will employ advanced signal processing techniques and 2-way acoustic transmissions to measure the rise velocity of the plume and its turbulent properties in near-real time. 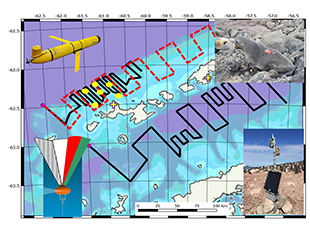 Long-term measurements of these properties, in conjunction with 3-dimensional plume models, will advance understanding of the interaction between hydrothermal vent fluids and the surrounding ocean and how that supports the unique ecosystem found at the vents. Acoustic Zooplankton and Fish Profiler (AZFP), along with an ADCP characterized zooplankton in the N. Bering and Chukchi Seas. There is a need to develop new techniques for the monitoring and study of zooplankton. One promising approach is the use of high resolution multi-frequency acoustics to understand vertical structure, abundance, and species composition. In the summer of 2013, Drs. John Nelson of Seastar Biotech and Svein Vagle of Fisheries and Oceans Canada in collaboration with David Lemon and Jan Buermans of ASL Environmental Sciences, deployed an instrument package consisting of an Acoustic Zooplankton and Fish Profiler (AZFP), along with an Acoustic Doppler Current Profiler (ADCP), to characterize zooplankton communities and ecosystem structure in the N. Bering and Chukchi Seas. The AZFP-ADCP package was put over the side of the Canadian Coast Guard Ship Sir Wilfrid Laurier at stations that are part of an initiative known as the Distributed Biological Observatory (DBO), which is a multi-disciplinary collaborative project supported by the US National Science Foundation and Fisheries and Oceans-Canada, and led by Drs. Jackie Grebmeier and Lee Cooper from the University of Maryland.